More than 15 percent of American women develop hypothyroidism during their adult lives. A fair number more, says the American Association of Clinical Endocrinologists, suffer from symptoms of hypothyroidism without ever being diagnosed. Thyroid hormones, as many of you know, are responsible for delivering energy to cells in the body. Their role in good health cannot be understated, as they are some of the most powerful engines the body has to work with. Hypothyroidism is the condition of having sub-obtimal thyroid performance. I have talked extensively about how poor thyroid function impairs fertility (see Carbohydrates for Fertility and Health, for example). I also, in the post 19 Signs You May be Hypothyroid, discussed how poor thyroid function can cause hair to fall out, nails to grow brittle, the body to feel constantly cold, concentration and mood to falter, and digestion to slow down enough to cause constipation. Thyroid hormone is absolutely crucial for good health and energy. It should come as no surprise then that thyroid hormones play a critical role in maintaining a healthy gut lining. Without adequate thyroid supply, gut health can suffer. The good news however is that overcoming hypothyroidism – or supplementing with thyroid hormone – can have powerful healing effects on the gut. Rats which have previously had their thyroid glands removed respond much less positively to digestive stress than healthy rats. Researchers discovered this by subjecting both these hypothyroid rats and healthy rats to something called “restraint stress” – which is basically the most humane way researchers claim to be able to think of to stress animals out without causing them pain or stressing them too much. They tie them down. When stressed, the rats which have had their thyroid glands removed have a significantly increased incidence of stress ulcers when compared to controls – nearly three times as much. However, and very interestingly – if these rats are given T3 thyroid hormone replacements before being stressed, then their ulcer rates fall down to the same level as healthy rats. Having robust thyroid levels appears to protect the rats’ guts from ulceration. In this study, researchers administered excess thyroid hormones to healthy rats two days before inducing stress, and these rats were also found to be fairly immune to gastrointestinal ulcers. It was found that both T3 and T4 (the precursor to T3) reduce the length and the depth of stress ulcers. This is an important point: not only do the ulcers decrease in terms of quantity, but also in terms of severity. This study investigated the efficacy of thyroid hormone when applied not prior to the stress, as was the case for the previous studies, but rather at the beginning of the stress. In previous studies that gave the rats extra time before the stress, the surplus of thyroid hormones could strengthen the gut barrier before the stress attacked it. Instead, in this study, it was impossible for the gut to be “prepared.” Thyroid hormones needed to be able to support or “fix” the gastrointestinal lining after the stress had already started to abrade it. The researchers found that rats administered either T4 or T3 during stress suffered significantly fewer lesions than those which did not receive any hormones. Each of the studies I cited above refers to gastric ulcer formation. It is quite well established in the literature that ulcers are related to stress and can be in part remediated with supplementation or (most likely) improvements in thyroid health. T3 and T4 appear to be protective against leaky gut and irritable bowel syndrome. This is in part because these hormones have “anabolic” and “trophic” effects on the mucus that coats the gut lining. “Anabolic ” and “trophic” are fancy ways of saying “growth promoting.” They promote the growth of gastric mucus by increasing RNA and protein content within the mucus cells. Basically, they provide more energy to the mucus in the gut so that mucus cells can develop, perform, and proliferate. This helps the gastric mucus to be strong prior to stress, and can also strengthen the gastric mucus during stress. Gastric mucus coats the intestinal lining and protects it from irritation, abrasions, and permeability. Moreover, Thyrotropin Releasing Hormone (TRH) increases stress and plays a role in stress ulcer formation. TRH is produced by the hypothalamus in a response to a perceived thyroid hormone deficit. TRH is known to increase stress and high levels of it have been found in the gastric mucus of stressed out rats. Thus, TRH may act in a “paracrine” manner in the gastric mucus, causing it to decrease it in quantity and production. TRH levels only increase in response to low T3 and low T4 levels. Researchers in this study suggest that TRH levels may be a significant culprit in gastric mucus deterioration; therefore, supplementation with thyroid hormone or restitution of thyroid health may help prevent the gastric mucus from deteriorating. One problem women often run into when trying to heal themselves is the vast interconnectedness of various health problems. For example, curing thyroid problems may be able to remediate gut issues, but the vast majority of women with clinical hypothyroidism have Hashimoto’s Thyroiditis, which is an autoimmune disease thought to be caused by leaky gut. This leads us to a bit of a chicken-and-egg question: does poor thyroid function cause the gut problem, or does the gut problem cause poor thyroid function? does healing thyroid function fix the gut, or does healing the gut fix the thyroid gland? should we focus on healing the thyroid gland, or should we focus on healing the gut? Many women, especially those with Hashimoto’s Thyroiditis, may find that they need to first and foremost prioritize steps they take to heal their guts (an Autoimmune Protocol Diet, for example, or a low-FODMAP diet, or being sure to supplement with fermented foods like these or a probiotic supplement I recommend like this one). If women who have Hashimoto’s do not heal their guts, then their bodies will continue to create antibodies that attack the thyroid gland and make thyroid health worse and worse. Women who do not appear to have Hashimoto’s Thyroiditis but instead simply have low thyroid levels due to stress, a low carbohydrate diet, or undereating or overexercising, may wish to take this news from today to heart and get serious about rectifying their diet and lifestyle choices. If you subject yourself to too much stress, if you eat too few carbohydrates or too little fat, or if you undereat or overexercise, this may make you more susceptible to leaky gut. 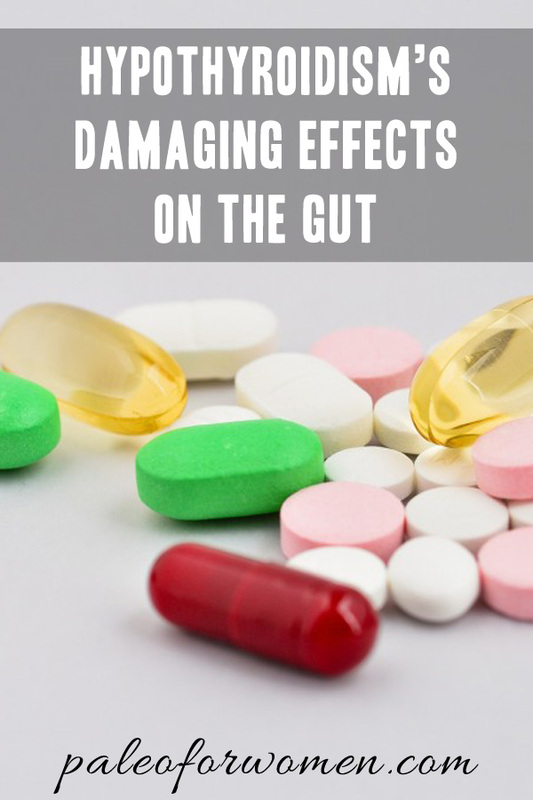 Leaky gut may cause nutrient deficiencies, irritable bowel syndrome, gastrointestinal symptoms like diarrhea, bloating, and constipation, and any of the several hundred autoimmune diseases that are plaguing the Western world at an increasing rate. You may also wish to consider supplemental iodine in the form of kelp and selenium, both of which are critical for robust thyroid functiono. Women who do not appear to have thyroid problems or do not know if they have thyroid problems but do have gut problems may wish to consider getting evaluated for the state of their thyroid health. These women may find that their thyroid health is sub-par. 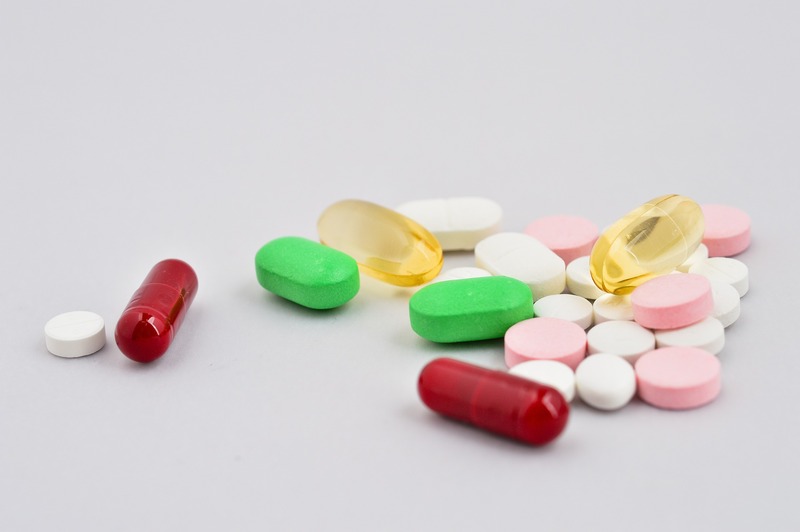 Rectifying that either with thyroid hormone supplements or with any of the methods I mention above could be a great way to boost their gut problems. If you wish to get tested and see if you have a thyroid issue, it is absolutely crucial to have each TSH, T3, T4, and TPO tested. TSH is a pituitary hormone that signals to the body to make more thyroid hormone and rises when thyroid hormone levels are too low; T4 is the body’s reserve amount of thyroid hormone; T3 is the critical “end-of-the-line” hormone that actually functions in cells in the body; TPO are the antibodies the body makes when it has Hashimoto’s thyroiditis. Many doctors may only test for TSH or T4 since that can indicate if Hashimoto’s thyroiditis is at play, but it is possible to have other forms of thyroid dysfunction, so it is best to cover all the bases. Finally, hypothyroidism is alarmingly often associated with two issues I address often on this blog: PCOS (learn more about PCOS here) and hypothalamic amenorrhea (more on which here). If you suspect you may have one them than your thyroid may also require attending to. This was a really great read; clear, concise and moreover actually super interesting! I’ve just started supplementing with iodine as I’ve got low thyroid hormone levels and am also dealing with hypothalamic amenorrhea. Will be interesting to see if it might improve gut function as well! Great post! I’m struggling to understand how to balance having hypothyroid and insulin resistance (both linked to PCOS). Low carb is bad for thyroid, but a low-GI diet is prescribed for insulin resistance. How can women with PCOS heal both conditions? My name is Maegan and I work for Healthline, a trusted health resource for more than 60 million people. We’ve recently created an informative and interactive graphic that shows the effects of hypothyroidism on the body. I’d like to offer this free resource to Paleo for Women as well as discuss a potential collaboration with Healthline. I hope that Paleo for Women users find this graphic helpful, and I look forward to discussing a potential partnership to make the world a stronger, healthier place!